2017 Suunto Vyper Novo vs Zoop Novo - What are the differences? / 2019 Suunto Vyper Novo & Zoop Novo – What’s the difference? The Vyper Novo an ideal mid-range choice for most recreational scuba divers. It can handle 3 gases, has wireless air integration capability, and a built in compass. 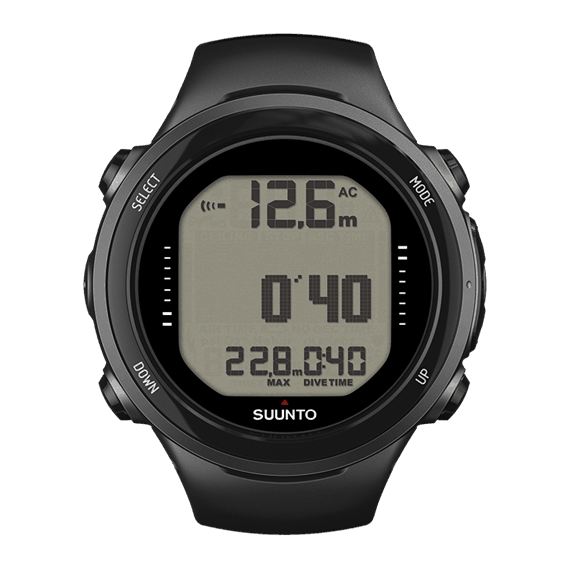 Suunto's Vyper Novo is the big brother to the Zoop Novo. These look very similar in size. In this review we explore the Vyper's features, and compare it to the Zoop, and to Suunto's watch-sized dive computers. 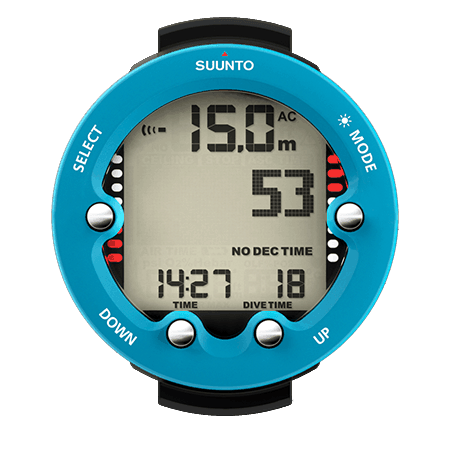 If you already know that the Suunto Vyper Novo dive computer is for you, click on the button below to see the current price and any savings that may apply on Amazon. Click below to see the answer to your most pressing question, or keep scrolling to read the entire review. What features does the Vyper Novo have? Can I change the Vyper Novo battery myself? 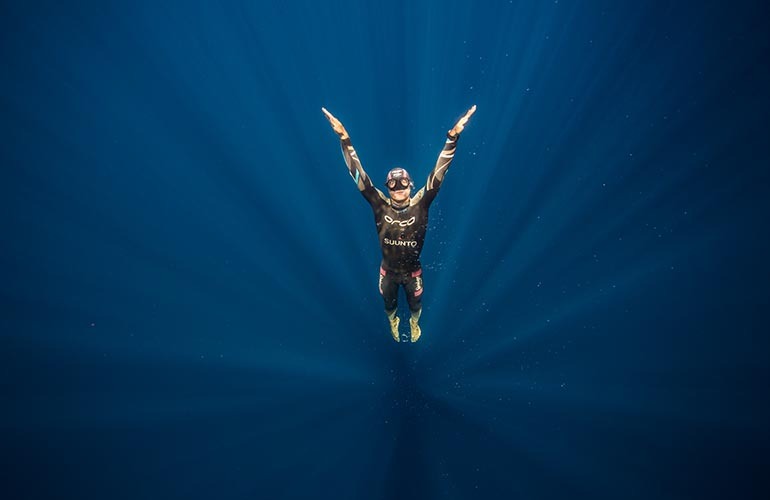 Planning to Dive at different altitudes? Suunto’s Vyper Novo is a 4-button menu with well thought out functionality. Menus are easy to navigate and the display is clear to read. It's buttons are big, and easy to press. The Vyper Novo has an integrated, tilt adjusted 3D digital compass. The Vyper Novo is water-activated. It will remain in Surface Mode at depths less than 4 feet (1.2 meters) and switches into Diving Mode at depths greater than this. as soon as it goes deeper than 1½ feet (0.5 meter). You do need to turn on the Dive Mode before diving to do your pre-checks. All the standard dive alarms are adjustable. Alarms can be set for maximum depth time.There’s a default setting to remind you to make a safety stop. When switched on to Dive mode, the battery indicator will show the current battery level. To conserve battery, the Vyper Novo will switch to Idle mode after about 3 minutes. During its Idle mode it continues to display the current time, the day of the week, and the date. Imperial or metric units (feet or meters, Fº or Cº) are easy to set to your personal preference. Suunto market these as user-changeable when it comes to batteries, but then warn that if you change this yourself, you may void the warranty. The Vyper Novo takes a standard 3 Volt CR2450 battery. You can buy the Battery Replacement Kit online. The kit includes the battery and O-ring and costs under $20. If you don’t feel confident enough to change the battery yourself or are worried about voiding the warranty, then a new battery replacement can be included as part of its regular two yearly service. The video below shows the steps on how to swap over the battery. The screwdriver used is a T-6 torx. 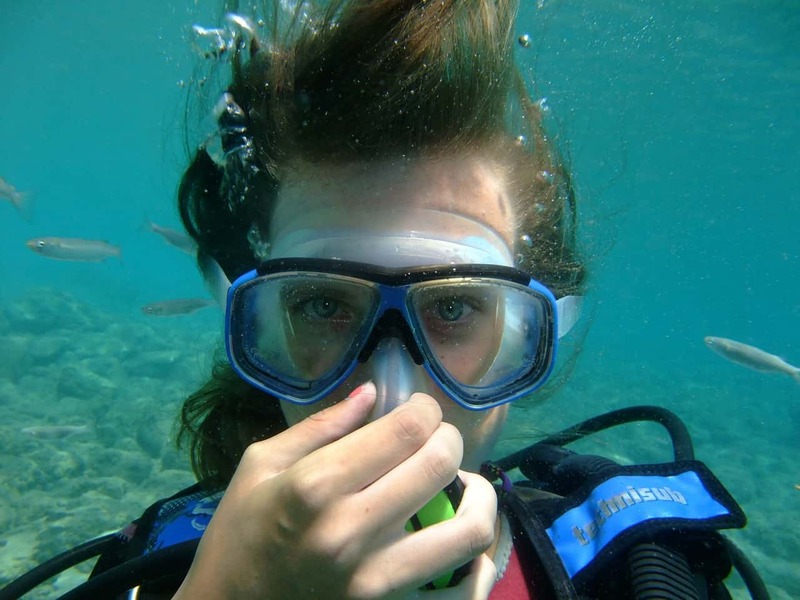 It’s generally recommended you wait a minimum of 3 hours before diving at a new altitude. Traveling to a higher elevation will temporarily change the equilibrium of dissolved nitrogen in your body. The Vyper Novo comes with an Altitude Diving setting feature. This is not updated automatically as you change heights. The Altitude Setting needs to be changed manually. When you adjust the Altitude setting, the Vyper Novo adjusts its mathematical model according to which altitude is selected. The Vyper Novo calculates shorter no-decompression times at higher altitudes. The no-fly time is shown in the center of the display next to an airplane icon. Flying or traveling to a higher altitude should be avoided at any time the no-fly icon is displayed. The Suunto Vyper Novo and the Suunto Zoop Novo are very similar in looks and size. Both the Suunto Zoop Novo and the Vyper Novo offer better functionality than their predecessors and both are great value for money. 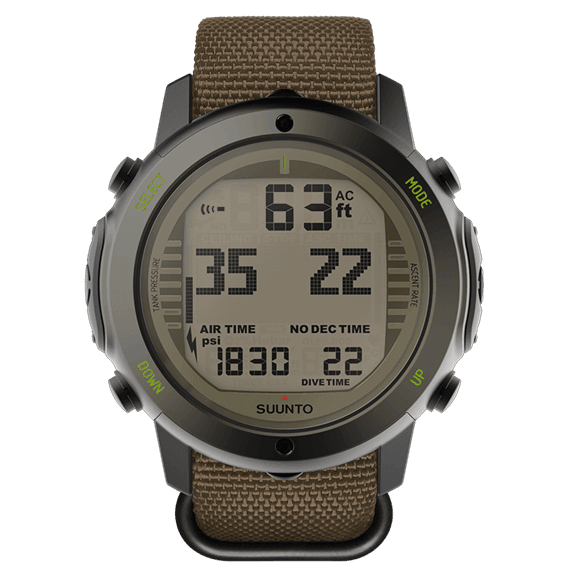 The Suunto Zoop Novo is designed for the entry level diver, whereas the Suunto Vyper Novo has the features to satisfy most recreational and technical divers. The Vyper Novo has wireless air integration option, an integrated digital compass, and the ability to handle up to three gas mixes. ​Zoop Novo doesn't have these options. 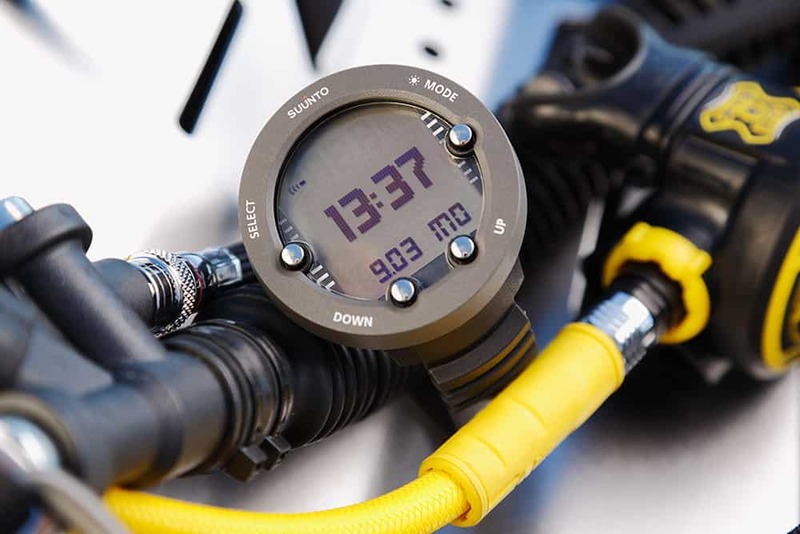 Unlike the D4i Novo and D6i Novo, the Vyper Novo is not a watch sized dive computer. Composite material case and bezel. It comes with an acrylic glass and an elastomer strap. Composite material case with a stainless steel bezel. It has a mineral crystal glass and a silicone strap. Steel case with a stainless steel bezel. It has a sapphire crystal glass and a silicone strap. *A phosphor-luminescent back light will light up at the flash of your torch and fade over a minute or two. 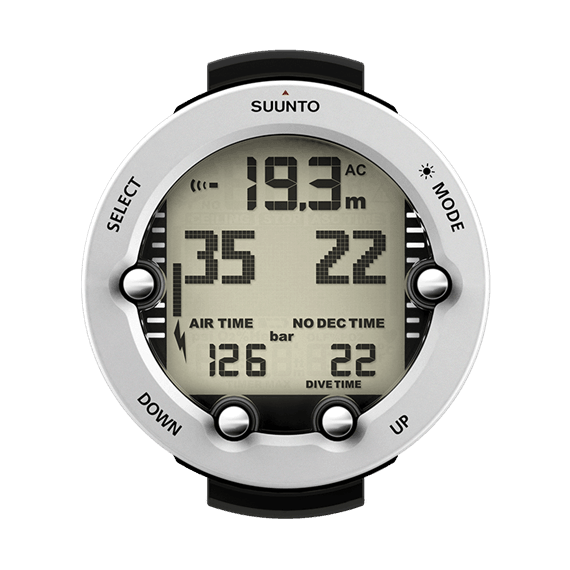 If you are looking at a dive computer that's above entry level or you think you will expand on your dive training in next year or two, then you should consider the Suunto Vyper Novo. It provides all the functions you need as a Recreational diver. With an integrated 3D compass, the ability to switch between up to 3 gases, the option for wireless air integration, all make this a computer that will grow with your needs. The dive computer is at a reasonable price point considering all the functionality included. 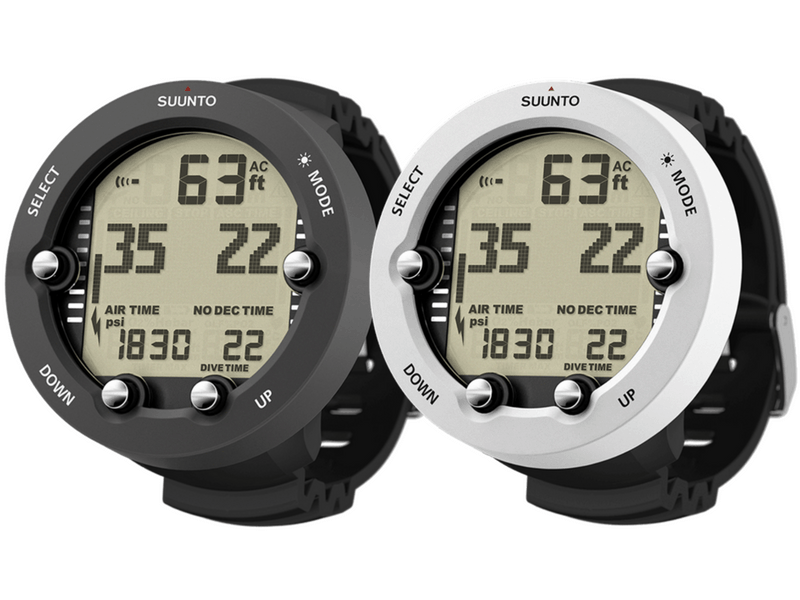 Click on the button below to see the current price and any savings that may apply on Amazon for the Suunto Vyper Novo.